Obverse: Mask of bearded Silenus right; below, plough. Torque as border. 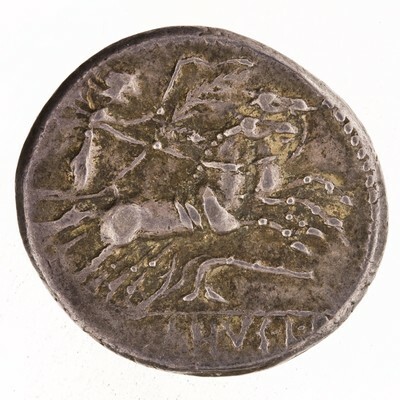 Reverse: D·SILANVS·L·F - Victory in biga right, holding palm-branch and reins in left hand and whip in right hand; below, carnyx. Border of dots.